The most popular question among bloggers has to be, “How do I generate an income stream and profit from my blog?” The truth is, that’s not a simple question because every blogger, every niche, and every goal is different. With that in mind, I’m going to tackle the subject of potential income streams and see if we can’t gain a little perspective and help a few bloggers along the way. 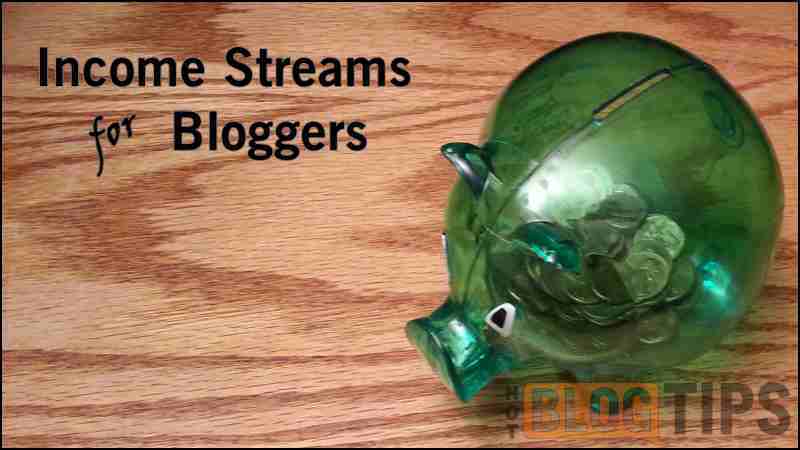 I’ll also, like the title says, list 15 potential income streams for bloggers. First, I’d be remiss if I didn’t mention reputation and influence. I’ve talked a lot about influence and authority on this blog and on our videos; reputation and influence couldn’t apply any more than it does for generating income streams from your blogging effects, either directly or indirectly. It’s VERY important, for long term success, to treat blog income like any other business and offer the best product, at a reasonable price that gives value to your customers. Miss any one of those three elements (good product, reasonable price, and great value), you’re going to suffer long term. The reason is reputation and influence. I remember a marketer a long time ago talk about how great the internet was and that the product didn’t matter because there was an endless supply of “people willing to pay“. That was disgusting to me then, and even more now. Thankfully, that concept no longer applies with the recent growth in social sharing and easy access to information. Cross people today and the word can quickly spread across forums, websites and social networks and Google will help people find it. Protect your reputation and be certain that EVERY product you promote, recommend and endorse adds great value to the customer, not because it pays well. Too many ads and too little value in the form of content and information turns your blog into a place most people will avoid after the first visit. Ads, especially a lot of banners, increase distraction and can slow your loads times. Both of those are going to affect the way both site visitors and Google view your blog’s value. We’ve all met that annoying person that talks about themselves all of the time. Whenever someone mentions something about anything, they can’t wait to tell you a story about one of their experiences. That person is tough to be around and, as bloggers, marketers, and business people; we don’t want to be looked at in that manner. Focus is great and we need to stay on target but it’s not all about us, seriously, especially with social media. Set a goal that 80 or 90% of your content, both on and off of your blog, is for and benefits others; do that and I believe, in time, you’ll see the same come back around to you. Right after I point out those people always talking about themselves, I have to tell you a story about myself. lol I’ve had a lot of websites and I’ve made a lot of money on the net. I’ve also watched a lot of that income disappear, both online and offline. I had a membership site that was doing very well but then some very large websites came along and gave a better product away for free. Ouch! We’re talking about ad tracking here. In another case, I had over 130 domains with a couple dozen niche websites/blogs. I learned to play the game pretty well; I studied keyword research, registered exact match domains, slapped just enough content on the site to get ranked, drove in traffic and then funneled them back off by clicking through the ads and watched the profit grow. I thought I learned the game well until Google Panda decided we were playing the wrong game. I’ll get back into niche blogging but not that way. Anyway, my point is that, time and time again, we see our income come and go; often with little or no fault, or control, of our own (Clearly, the niche blogs, I had that coming). So, in my opinion, we should focus on one task at a time but, ultimately, we need to develop multiple streams of income. I’m over 700 words and haven’t even listed the Income Streams yet; someone talks a lot. 😉 I’m not going to talk a lot about each income stream idea because every blogger has different goals, skills, and values. Use it as a memory jogger and consider your niche and then look at those that best fit your goals. Personally, I prefer building residual or passive income. Affiliate Sales – Selling affiliate products is one of the most popular methods bloggers use to generate an income stream from their blogs. Affiliate Sales isn’t going to make anyone an overnight success but it is relatively simple after you’ve earned your reader’s trust and have gained a little influence, like I mention above. PPC/PPA – I’ll be the first to admit that working PPC and PPA can require a little skill and a lot of testing. Just throwing up ads rarely shows positive results. Coaching – This is a favorite among many popular bloggers and some charge upward of several thousand dollars for an extended one-one coaching program. Local Business Services – Many of us have created an income by helping local business with things like SEO, website design, blog setup and social media. Website reviews – A lot of bloggers have taken their SEO, coding, and design skills and created a nice income from helping improve other blogs and websites. Public Speaking – This one isn’t for everyone but blogging can help build the reputation, contacts and knowledge that could lead to public speaking gigs. Mitch Mitchell from I’m Just Sharing has been hired as a public speaker due to the reputation built from his blog. Membership sites – Think unique service or product. For example, I paid $29/month (I think) to a keyword membership site for well over a year and never gave it a second thought to the cost because it was money well spent. Webinars – Not only paid webinars, even a great free Webinar with the right people and information can pull in sales and leads. Videos – Just like blogging, there are a number of ways to profit from video, both directly and indirectly. eBooks – Ebooks aren’t just for list building, some bloggers generate thousands from a single ebook. Mobile Apps – Blogger and iPhone app developer Benny Hsu is doing pretty well. I wrote about Benny’s success story almost two years ago. Niche Sites – I mentioned earlier that I lost my income from niche sites but there’s even more money to be made when done right. I’ll cover more on building niche blogs in the near future, maybe even build one step by step with our readership. Software and other product sales – I know that’s a very broad range but, really, any product with true value, for the right price, and properly exposed to the right market has an income potential. My advice it to find a problem, create a product that solves that problem and build a plan from start to finish and the take action. Don’t forget to take action, this seems to me a step many people miss year and year. Service and Expertise – We mentioned this in the video, having knowledge and experience can have a tremendous amount of value to others. Just like the Fiverr example I mentioned in the video, there’s an almost endless supply of resources and opportunities. Guides / Supplements / Worksheets / Checklists – Probably used most often as lead magnets, resources such as guides, worksheets, and other helpful content can be used as products for sale. We don’t have to give everything away. Tutorials – Tutorials work on many levels for various types of content. Some of the most popular HotBlogTips YouTube Videos are tutorials. We regularly use tutorials as a lead magnet to help grow our VIP List. Tutorials can also be a nice money generation tools as well. I mentioned Cliff Ravenscraft above so I’ll use his online tutorials as a quick example. I know from past podcasts that Cliff’s products are a significant portion of his overall income. 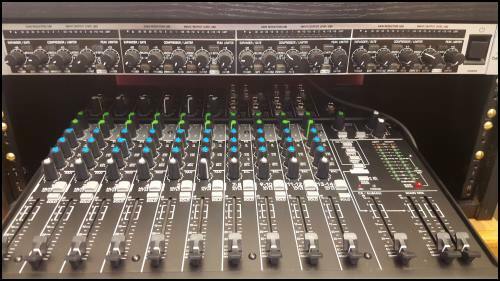 In fact, I recently bought his Behringer MDX-4600 Setup Tutorial to help me out with this crazy piece of equipment (Shown with the mixer I purchased through the Podcast Answerman as well) and it was worth every penny.